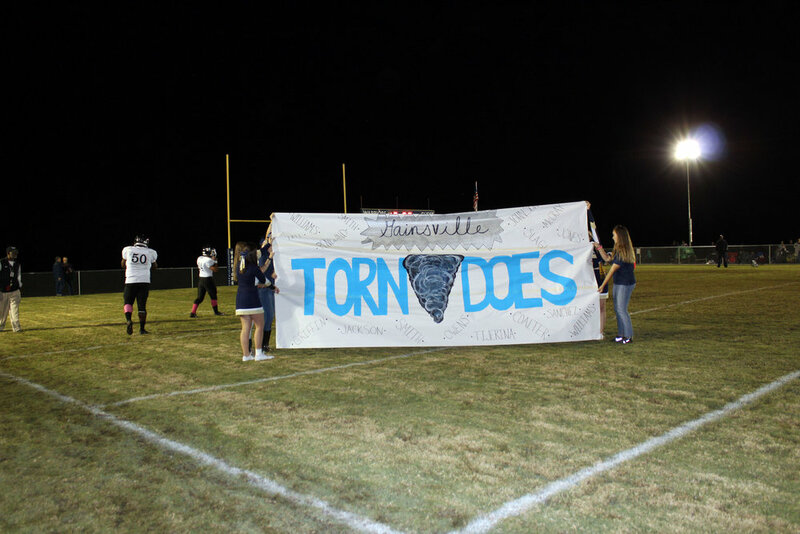 Gainesville Tornadoes ran through the banner made and held by LCA cheerleaders. Lucas Christian Academy (LCA) is new to TAAPS (Texas Association of Private and Parochial Schools) this year, thus Athletic Director, Jordan McDaniel spent time pre-season researching their upcoming opponents to see what they would be up against. When he saw Gainesville State on their schedule, he couldn’t find anything on the team, so he dug a little deeper and found out that Gainesville State is Gainesville State School which is a juvenile correctional facility located near Gainesville. He found articles about a team who had played Gainesville State in the past and chose to make that game a time to be a positive influence. McDaniel decided that LCA would choose that route as well. Within 90 minutes of sending an email to the LCA community requesting actions to be taken to bless the Gainesville athletes, the list was filled. LCA made personalized care packages that included candy, granola bars, crackers, playing cards, Chapstick, socks, Kleenex, notes from LCA students, a Bible and a guide to help them study the Bible. 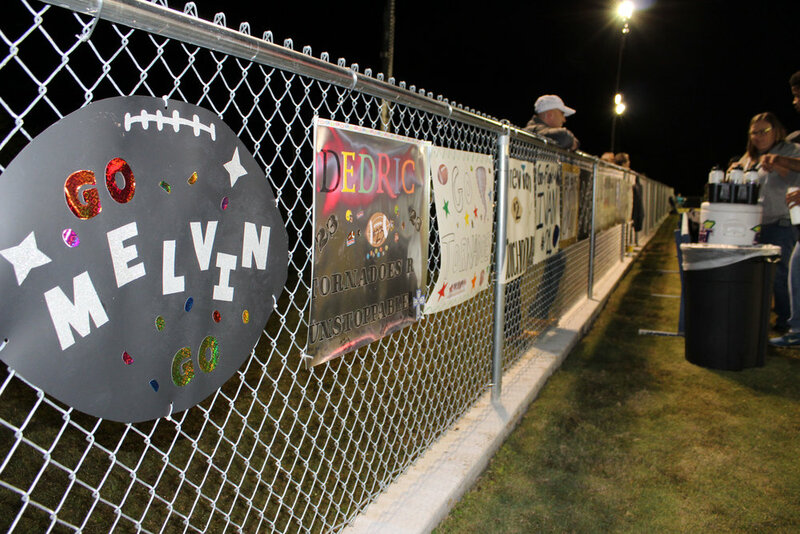 A personalized spirit sign was on display at the game for each team member. A banner was made for them to run through before the game. A LCA family donated $500 to help cover the costs associated with this act of kindness. That money more than covered the costs and allowed LCA to do more than was originally planned. Members of local churches filled the stands to cheer on the Gainesville Tornadoes. 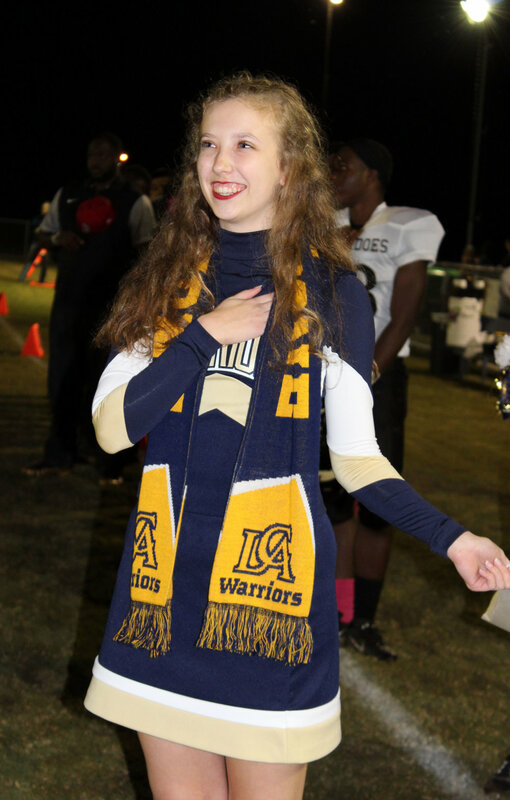 Because McDaniel and LCA wanted to be sensitive to Gainesville’s reactions upon reception of these care packages, the packages, along with a barbecue meal prepared by LCA Football Coach Charles Cheshire and volunteers, was given to them discreetly as they loaded onto the bus after the game. He knew that the Gainesville State team would not have fans in the stands (some of their parents are incarcerated, some have disowned the boys and some are simply too far away to attend), McDaniel broadened his reach in terms of support for Gainesville. He reached out to nearby churches to see if they would be willing to sit in the stands on the Gainesville side and cheer on the Tornadoes. Four local churches brought people to fill the visitors’ stands. Before the game, Tony Serna, an LCA parent who represents professional athletes in business ventures, shared his testimony with both teams. His presentation included how his faith and being in the military changed his life and gave him a second chance even though he had a rough upbringing. A typical LCA football game will bring in between 400 – 500 fans. This game was expected to have approximately 1,500 fans. Gainesville State School’s football team is comprised of 18 athletes. There is one sophomore on the team, the rest are juniors and seniors. The kids at this school have been convicted of felony crimes. It is a privilege to be on this team. They must be on their best behavior to be on this team. The athletes cannot leave the facility except to attend games. They are currently the number two seed and are slated to go into the playoffs. 20 – 25 correctional officers and six teachers also attended the game at LCA. 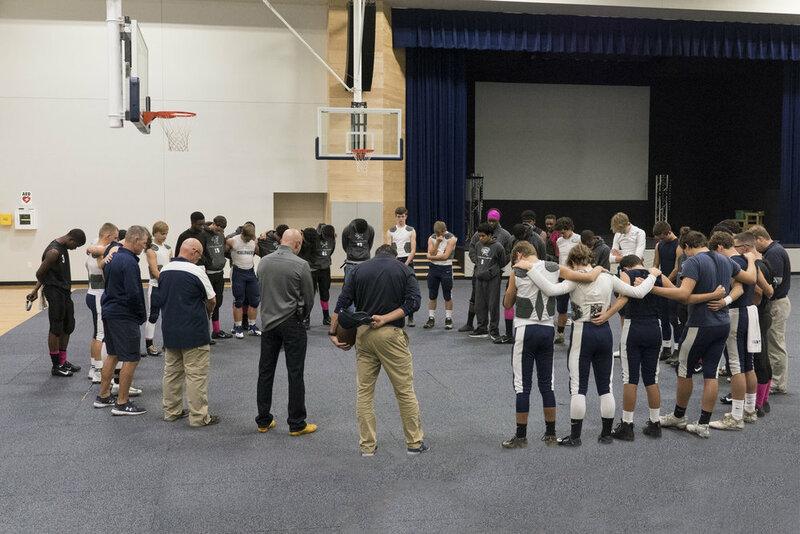 LCA’s football team has 16 players, half of which are ninth graders. They are fighting for the wild card spot. They play six-man football. This was the 20th homecoming game for LCA. Gainesville was the victor in this Friday night lights matchup, with a final score of 56 to 22.